Free Customization! Add your community or park name. Exclusive to Dog-ON-It-Parks! 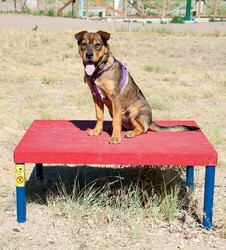 Hound Hurdles™ are a series of four low hurdles that help to teach timing and jumping skills. 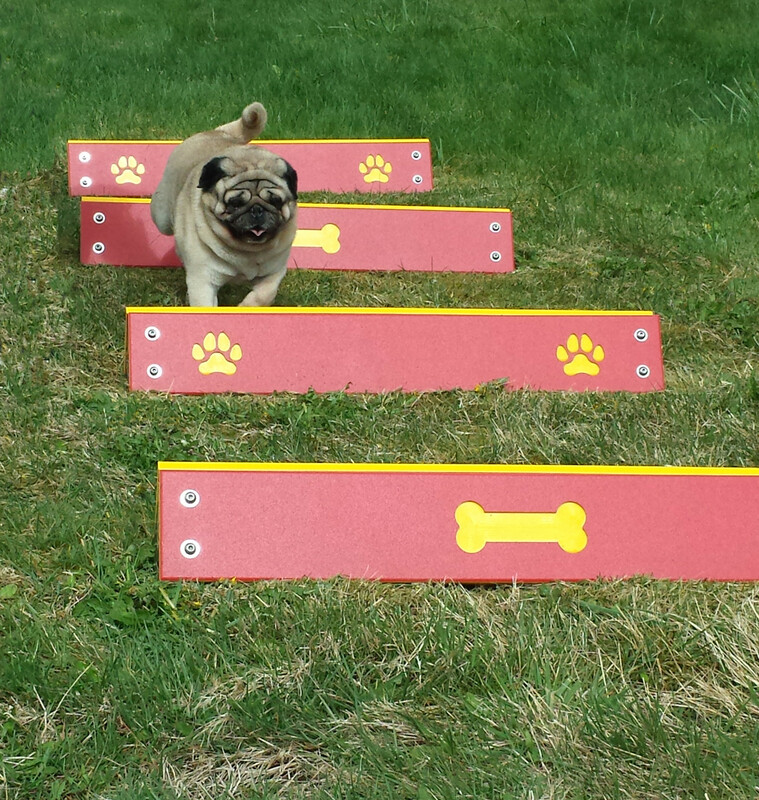 Start slowly with your dog, stepping or hopping over each hurdle. Once your dog gets comfortable, try running through the activity. Your dog will find a pace that feels natural and will jump all four hurdles consecutively. 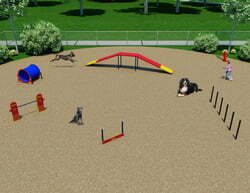 Space the hurdles more closely together when installing in a small dog area of the park. 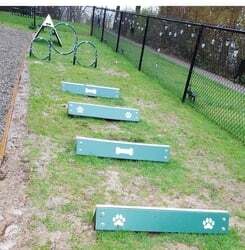 Hound Hurdles™ planks are created from post-consumer recycled polyethylene plastic (milk jugs, shopping bags, etc.). Exclusive paw print and dog bone details aid in depth perception for your dog. 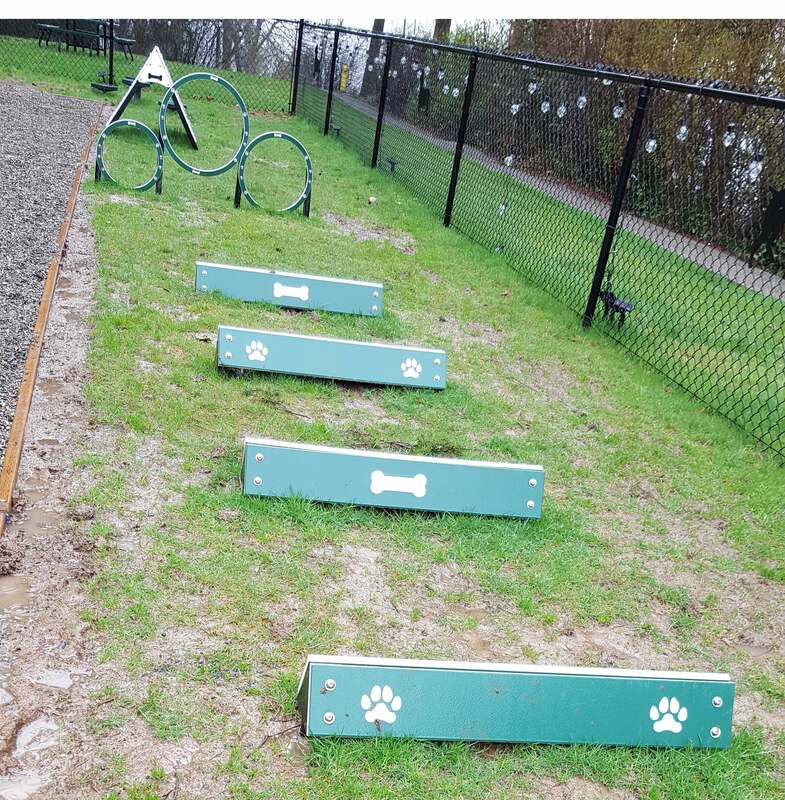 Hurdles are 100% recycled HDPE plastic with 80% recycled aluminum posts.